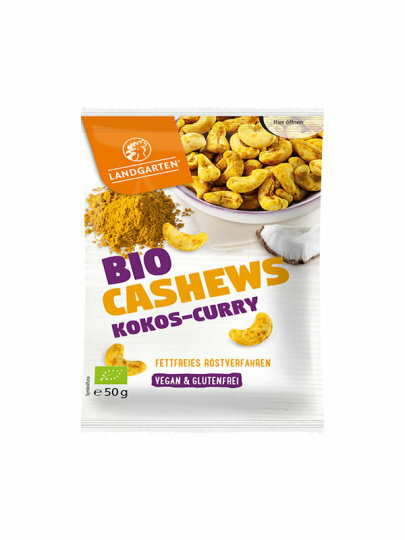 Landgarten's organic and healthy snacks will delight you with flavor. Cashew * 94 *, dextrose *, * Curry powder 1.1%, salt, onion powder *, pumpkin pulp powder *, * composition of garlic (garlic, sea salt, sunflower oil), lemon juice concentrate * , spice extract *, coconut extract * 0.01%. The products may contain traces of soy and other nuts.